Obono-Obla’s corruption started in the early 1980s. 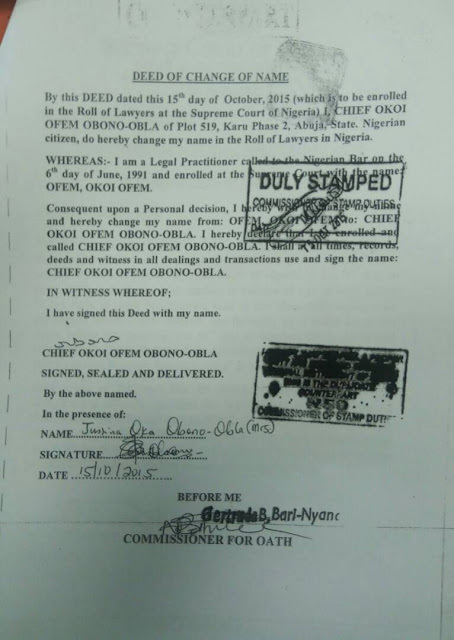 According to the Human Rights Writers Association (HURIWA), which painstakingly scrutinized his records, Obono-Obla possibly stole his dead relative's "O" level certificate in 1982, fudged it to include Literature in English, which the dead relative didn't sit for, used the result to gain admission to the university, and then changed his name decades later. 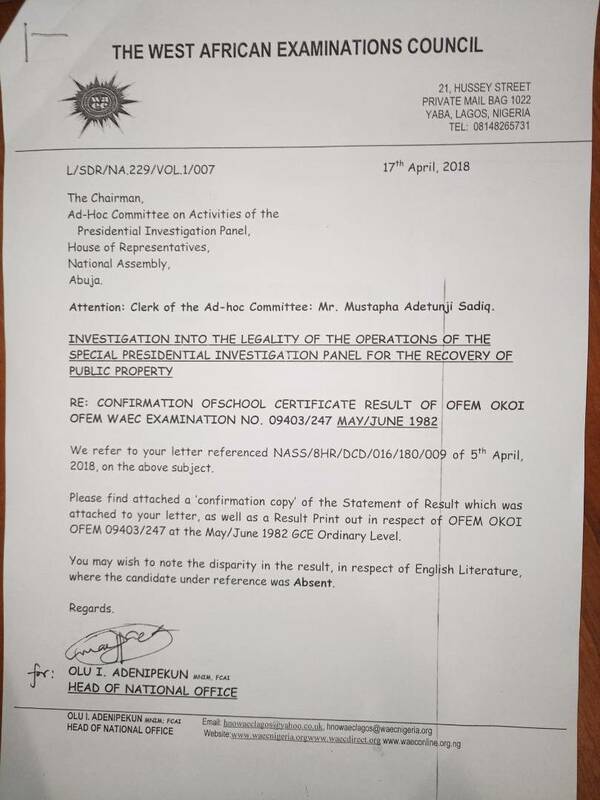 Obono-Obla’s probable criminal impersonation of a dead person is worsened by unassailable evidence of his criminal fudging of the relative’s school certificate. 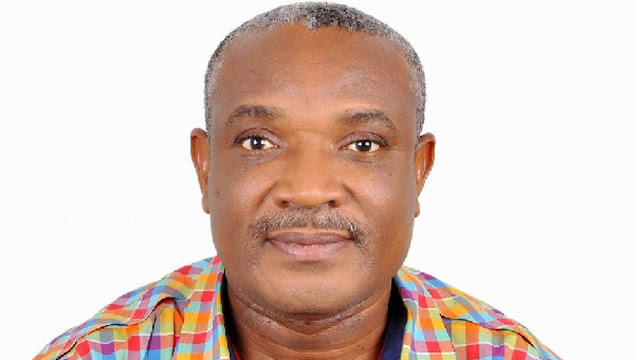 Ofem Okoi Ofem, whose certificate Obono-Obla used to get admission into the University of Jos, had four credits (C6 in English, A1 in Government, C4 in Bible Knowledge, and C5 in Economics), was absent for Literature in English, and got failing grades in Mathematics, Chemistry, and Biology. The University of Jos, like most Nigerian universities, required (and still requires) five credits, including credits in English and Literature in English, to qualify to study law. Ofem Okoi Ofem’s school certificate fell short of these requirements, so Obono-Obla fudged the result. He fraudulently inserted C6 as the grade earned for Literature in English, which the original candidate didn’t sit for. That forgery achieved two things: it increased the credit passes of the certificate to five and satisfied the Literature in English prerequisite to study law. Obono-Obla used this falsified result to gain admission to study law—of all courses!—at the University of Jos. And this isn’t a case of mistaken identity. 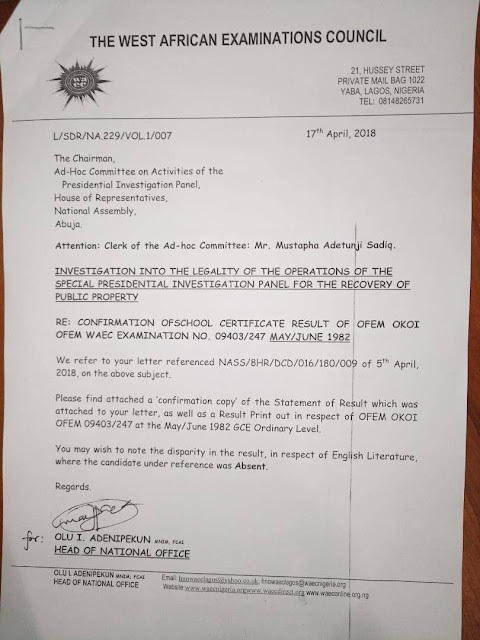 Every detail of the certificate Obono-Obla presented to the University of Jos— and to the presidency as a precondition for getting his job— matches the record kept at the West African Examination Council. 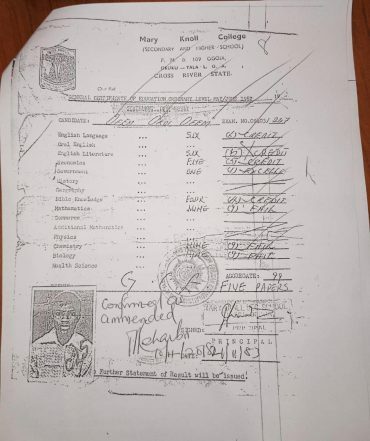 His public profile also says he attended Mary Knoll College in Ogoja, and the year of graduation he indicated on his profiles is consistent with the record at WAEC. There is no question that it's the same person. In his testimony before the House of Representatives on June 6, 2018, WAEC’s Deputy Registrar, Femi Ola, said, “From our record, the genuine candidate is Ofem Okoi Ofem, 09403/247 of Mary Knoll College, Ogoja. The exam number and number of subjects are the same. 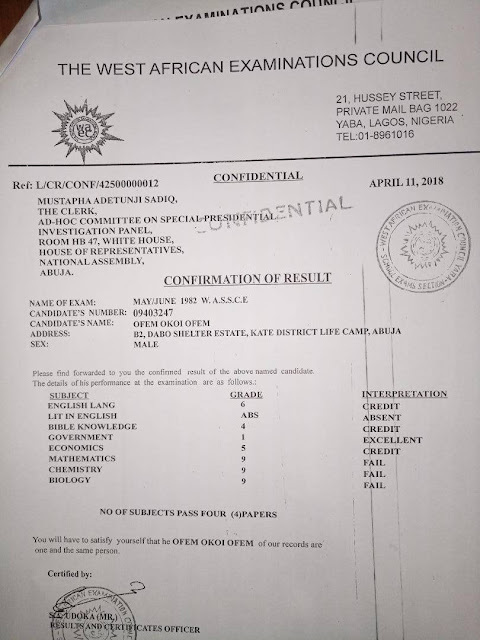 The difference is the grade in English literature in which he claimed to have scored C6 despite being marked absent in the true, certified copy.” Daily Trust reported that the deputy registrar characterized Obono-Obla’s certificate as “fake, not genuine” and therefore invalid. As is now the norm with Buhari when it comes to corruption involving people he perceives as “loyal” to him, Obono-Obla was reinstated and his press gag lifted. But, again, after a methodical and comprehensive investigation of Obono-Obla, which included a report from the Auditor-General of the Federation that confirms his financial indiscretions, the House of Representatives, on July 31, recommended that Obono-Obla be fired, arrested, and prosecuted for corruption and forgery. It also recommended that the University of Jos revoke the degree it awarded him and for the Body of Benchers to disbar him. Obono-Obla’s case particularly stands out like a sore thumb because he is supposed to be in the forefront in the “fight against corruption.” But corruption cannot fight corruption. As the late Dr. Martin Luther King Jr once said, "Darkness cannot drive out darkness; only light can do that." 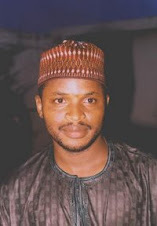 You can't be a criminal impersonator, an audacious certificate forger, and a venal public official who uses his position to defraud people and the country and claim to be an anti-corruption fighter. Presidential Lying in Defense of Corrupt "Executhieves"
How About the Other "Mainas" in Buhari's Government?